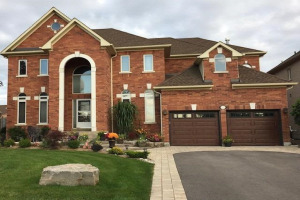 Prestigious "Stonehaven" Approx 3,837 Sq Ft Home On Quiet Court Steps To Parks, Schools, Conservation Trails. Recent Improvements Include: New Roof Shingles (Approx 5 Yrs Ago), New Hi-Eff Furnace & Cac (Approx 4 Yrs Ago ), New Garage Doors (Approx 2 Yrs Ago). Elf, All Window Coverings, Bwl, Cac, Humid, Air Cleaner, Cvac (As Is), Water Softener (As Is), Intercom, Auto Gdo & Remote. Exclude: Fridge, Stove, B/I Dishwasher, B/I Microwave, Washer, Dryer.